This is one of the oldest cities in the world. For thousands of years, it was a center of wealth, technology, culture and trade. It’s a place where tourists would marvel at its gardens, mosques and stunning 11th century architecture. 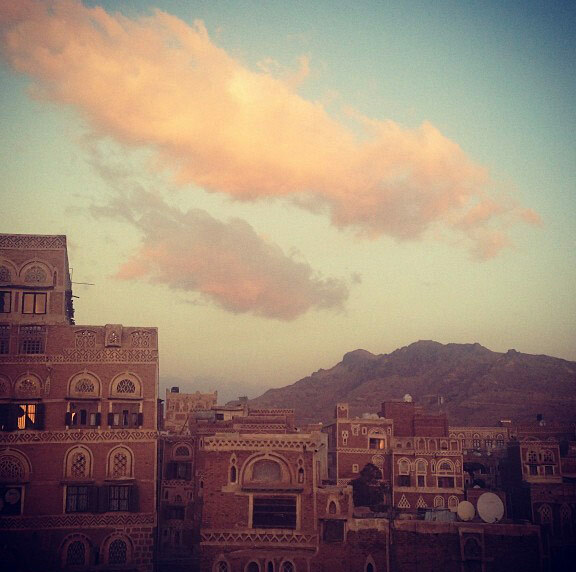 This is Sanaa, the capital of Yemen. Rebels from the Houthi minority group took control of Sanaa and other parts of the country six months ago. 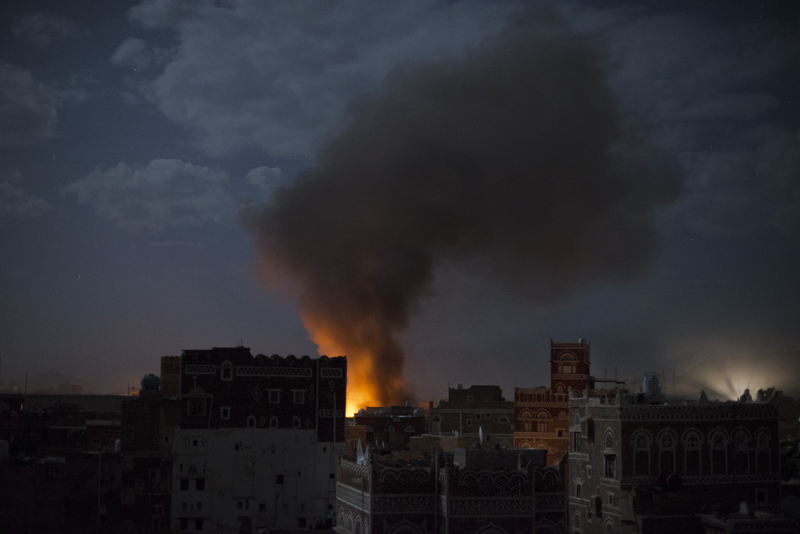 Saudi Arabia backs the government that was forced out and has launched airstrikes against the Houthis. Other actors — al-Qaida and ISIS — make it even more complicated. And in June, the unthinkable happened. The densely populated Old City, where people have lived for more than 2,500 years, was attacked. Locals blamed an airstrike. Photographer Alex Potter was there. The shell hit just a few blocks from her home. Potter was stunned to recognize her neighbors being pulled out of the rubble. Potter is a nurse from a small town in Minnesota. She says she had always known that she wanted to be a journalist. She moved to Yemen in 2012. She was 22, knew no one and had little experience with international reporting. In many ways, the family-oriented culture where neighbors look out for each other felt similar to her hometown. Things have changed dramatically since then. Some 4,500 people have been killed and more than 1 million have been forced to flee their homes. Life is hard in Yemen. Even before the recent violence, poverty and unemployment rates were very high. But war has made day-to-day life increasingly difficult. Electricity used to be available 12 hours or more a day. Now, it might be on for a half-hour every other day. “Hardly anyone gets water to their actual house anymore,” says Potter. She sees scenes like this every day — in the countryside and in the city. The water table is so low, farmers now need fuel to pump water from aquifers deep in the earth. “No fuel means no water, no water means no crops, no crops means no income … which leads to a growing health crisis,” she says. 13.4 million people in Yemen — half the population — lack access to safe drinking water. Even before the war, people struggled to get water. In the city, mosques and wealthy residents — not the government — have set up public tanks to provide for their neighbors in need. In the north of Yemen, things are worse. Potter met this family at a school offering shelter to refugees. The family is among thousands of people who have fled to Sanaa. But despite the risks, many Yemenis “would rather die in their homes and suffer with their families on their own land than live an undignified and abused life as a refugee,” Potter says. Mohsen Al Jaylani lives in a small village south of Sanaa. An airstrike killed his two sons and his nephew in July. This is their gravesite. Potter met this mother in a hospital north of Sanaa. She was too malnourished to breast-feed and couldn’t afford formula or fresh milk. Her child had been ill for weeks from spoiled milk powder. The war has led to a rise in malnutrition. And more than 8 million Yemenis currently lack access to basic health care. If this war had happened elsewhere, it might have caused a refugee crisis like the one in Syria. But unlike in Syria, where besieged families can flee to Turkey, Iraq, Jordan or Lebanon, Yemenis often feel trapped. To the north are the Rub’ al Khali desert and the closed borders of Saudi Arabia and Oman. To the south are the Red Sea and the Gulf of Aden, across which lie Djibouti and Somaliland (a breakaway region from Somalia). “Neither are very hospitable to Yemeni refugees,” says Potter. Embassies from neighboring countries have mostly closed in Sanaa. Yemenis who have left tend to be from wealthy families, who can afford expensive air travel and endure complicated visa requirements. Potter’s friend A.Z. is one of the lucky few who were able to leave. She lived in an area of Sanaa heavily targeted by airstrikes, until she married and moved to London with her Croatian husband last year. Does this kind of reporting matter to you? But in Afghanistan, can dreams become reality? 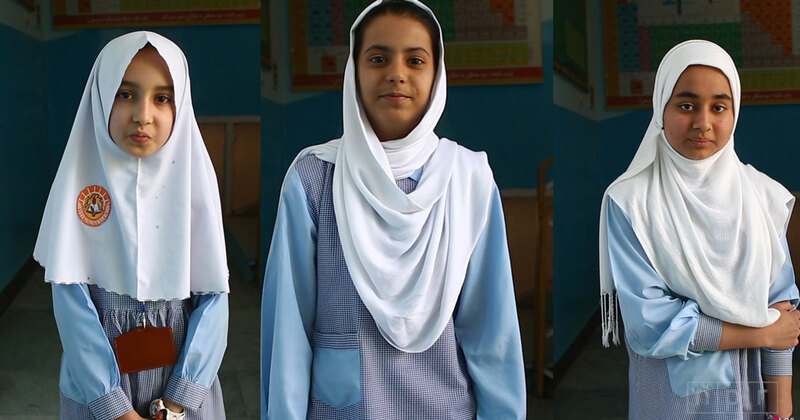 Take a look inside a school in Kabul.